Did you miss me?? Two posts in 6 months isn't terrible...right? Before I start, let me say that you need to forgive the name of these classic sugar cookies. 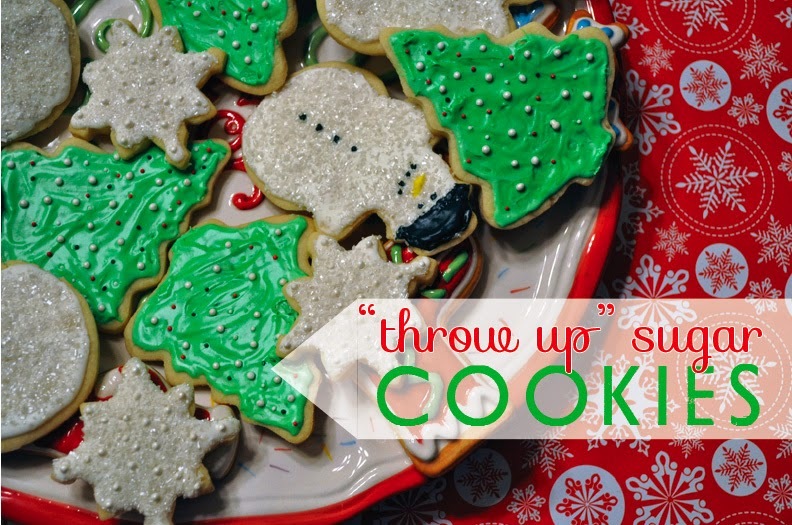 When I first heard of throw up cookies, my gag reflex most definitely kicked in. But I found out that the reason they're called this is because they are so good that you'll eat too many and possibly throw up. Once you get past the name, you realize that it's just a classic sugar cookie recipe. But the thing is, it's quite possibly the last one you'll ever need. Keep in mind, this recipe comes from the kitchen of Terri Schlarb, who makes the only potato soup you'll ever need. Remember that one? Classic. Anyway, you just have to believe me on this. These sugar cookies are exactly what you're looking for when Christmas comes around. Dice up butter into small pieces. Add the butter to the dry mixture. Cut in the butter. You can use a pastry blender, but I prefer using my (clean) hands. Mix beaten egg, vanilla and cream together and add to mixture. 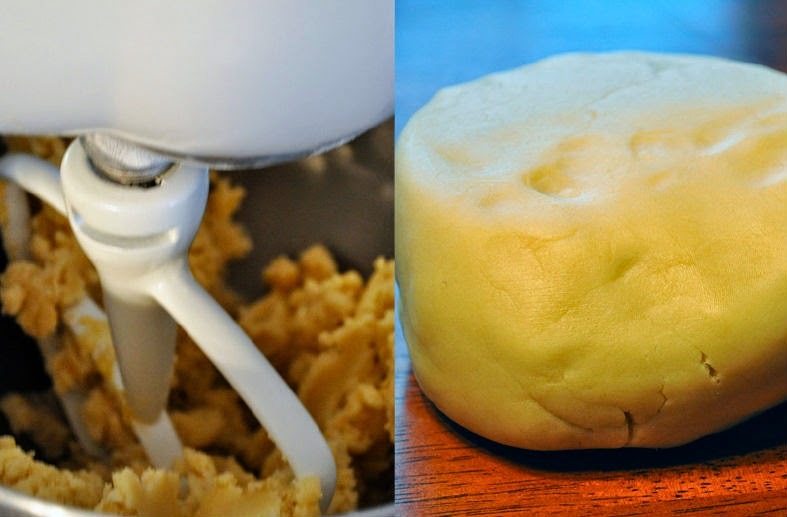 Work the dough into a ball. Sprinkle a clean, flat service with light flour. Roll out dough and cut desired shapes. Bake 8-10 minutes and let cool before decorating. This recipe made around 2 dozen cookies, depending on how thick the dough is when you use the cookie cutters. As far as the decorating goes, I used a royal icing decorating technique that I found on Pinterest by Sweetopia. She links to a great royal icing recipe; however, I used store-bought frosting and thinned it with cream. It's not perfect, but it's good enough for me!